I'm so glad it's March! This has been a challenging winter with more snow than usual and lots of kid illnesses as well. I really need spring to come soon; I'm glad it's sunny and warming up a bit today! This is for the KCMQG "no prints allowed" challenge--it needs to be finished next week! I need to get buttons and ribbon for the front still but decided to get started. The bottom ruffle is ready to attach, and the gathering stitches are sewn in the sleeves too. 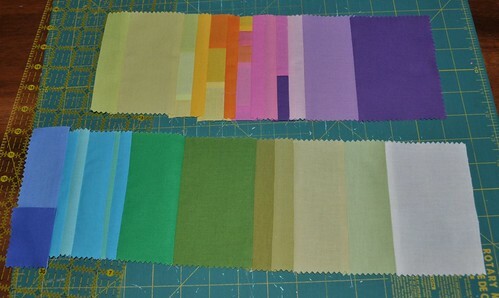 It was a bit tedious marking and making all the pintucks, so I stopped after finishing them on the back. They aren't pressed yet because I want to remove the water soluble marker first. My computer speakers bit the dust so I was listening to Pandora on my phone while I sewed. :) Makes it a little more fun, I think. I've looked through them both and there are some great projects in them. I am looking forward to making the little knotted jumper top or dress and probably a skirt from Little Girls, Big Style . Also I think I'm finally going to dive into shirring; I've only tried it a couple times before. I have a huge cone of elastic thread and I love the shirred look on some of the blouses in this book. 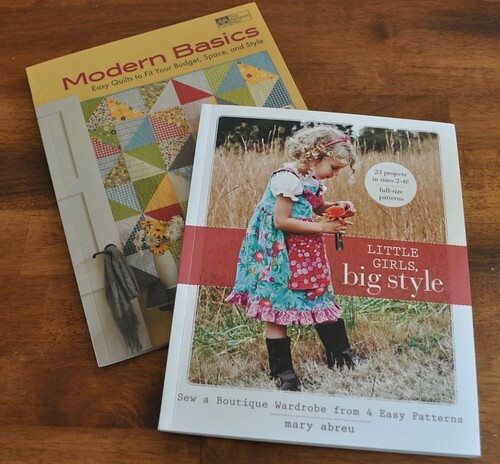 And Amy's done a great job with Modern Basics; maybe I'll use one of her patterns for my sister's new baby who's arriving at the end of summer. How about you? What are you working on? Are there any signs of spring where you are yet? Oh, I miss sewing for my little girls - that blouse is really beautiful! 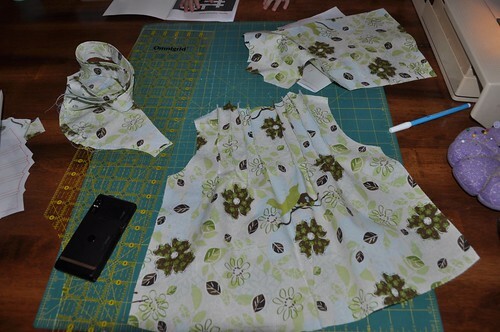 I've been working on drafting a sloper for my 4-year old so I can sew her Easter dress and (later) some summer clothes. 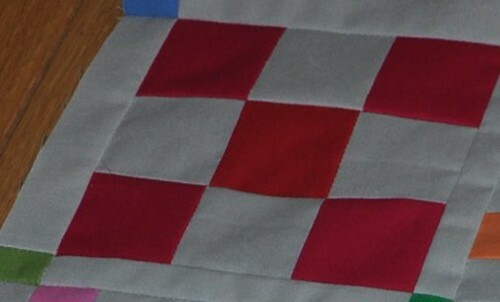 I also want to make a quilt for my kids' bed...though mine will be no where near as beautiful as any of yours! You're right--way too much snow this year and today's sun and warmer temps were quite welcome! I'm not too far from the KC airport. Can't wait for things to be green again!